Our the banana chips production line, the thickness of banana chips is adjustable. Small Factory Banana Chips Making Machine Manufacturer Best Price Our the banana chips making machine line, the thickness of banana chips is adjustable.In order to meet the different needs of customers, we provide different production banana chips production line for customers' choice.The continuous frying system designed specifically for banana slices can achieve the highest product quality and operational flexibility. All machines of this banana chips production line are made of Stainless steel 304.For Fryer Machine and blanching machines of this banana chips production line, they are with Electric Heating Type. It also can be made to be Gas Heating Type as clients’ demand. The difference is the gas model must with the burner and the gas pipe inside. So it will cost a little than electric model and it will be with bigger size. For Fryer machine, it is with Water-oil Separating System. Thus it can extend the oil working life and also can remove the impurity in oil. 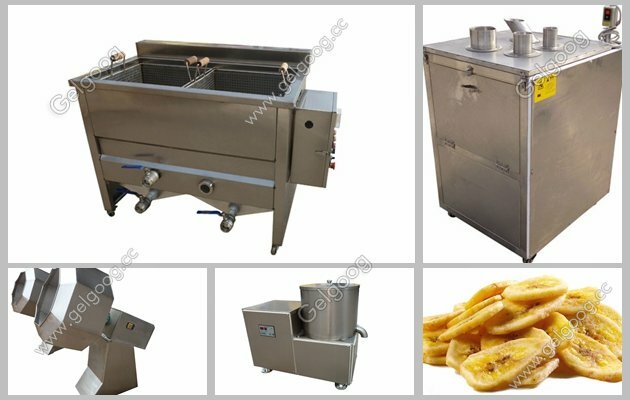 The peeled banana chips cutting machine can be directly cut into the oil tank at the feed end of the fryer. Chips can be used for online flavoring and packaging. It is made entirely of stainless steel. 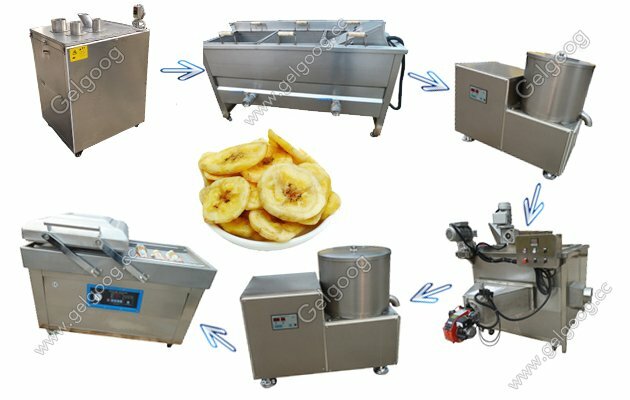 Banana slice production line can make banana and plantain into packaged fried banana slices. The banana slice factory can also be adjusted to produce potato chips and French fries. 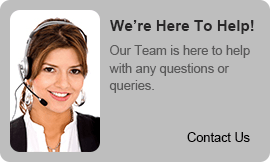 Stable operation, good performance, simple operation. The capacity of thie potato and banana chips line is with capacity of 50kg/h, it is semi automatic line. If you need we also can make it to be Automatic Banan chips processing line. 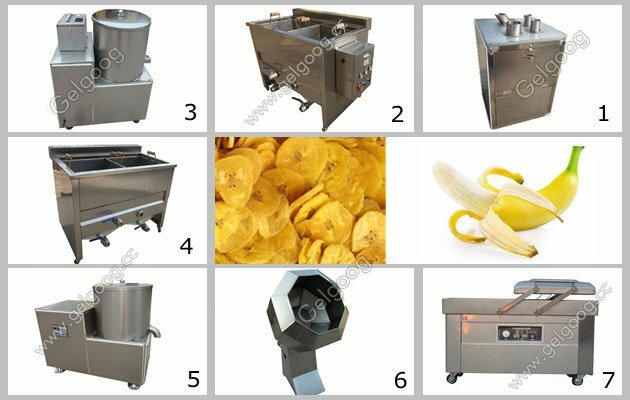 If you want buy banana chips making machine, contact us freely. Email: [email protected] Phone/whatsapp:+8618539931566.